Joan is a friendly, loving and caring person. She is the eldest daughter of the late Doctor Mufumba (our friend and PFP Health Director) and she remembers him fondly. Joan says that her dad was her best friend and that he nurtured her into the woman she has become today. In a few words: “He gave me the best picture of a dad and a husband because of the way he treated my mom with dignity and high esteem. His kindness was beyond human understanding, his smile would calm all the fears I had no matter the situation. He was the strongest man I have ever met in life, always putting everyone else before himself. When I talk about him, I get mixed feelings, wondering whether to mourn for his death or to celebrate for the great seeds he propagated in me. But I will choose to celebrate him no matter the fact that it deeply pains me that he left us so prematurely”. 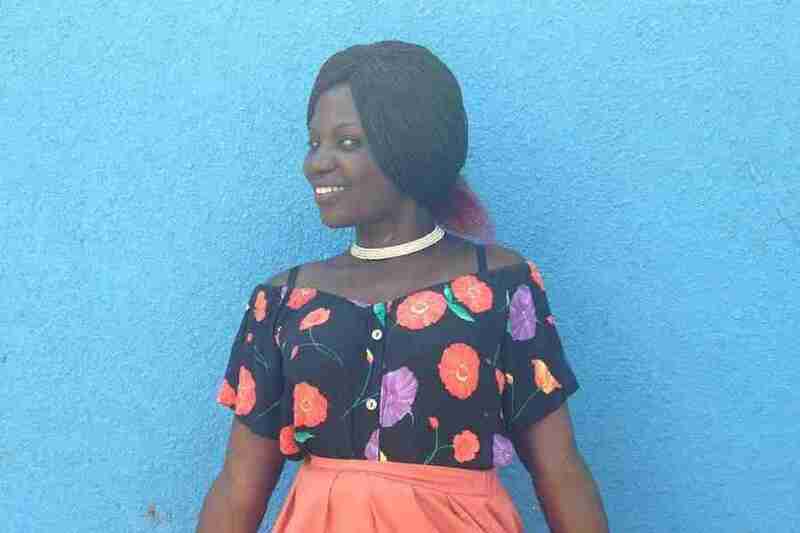 Joan loves math and is pursuing a Bachelor of Science degree in statistics at Makarere University. Before her dad died, she was able to help him analyze data about his mental health patients in Bugembe. She hopes to continue to use her skills to help people in the mental health field as she follows in her fathers footsteps. Through the AHU scholarship program, Joan will receive the educational support she needs to finish school and to reach all of her dreams. We know she will make Dr Mufumba (and all of us) proud.